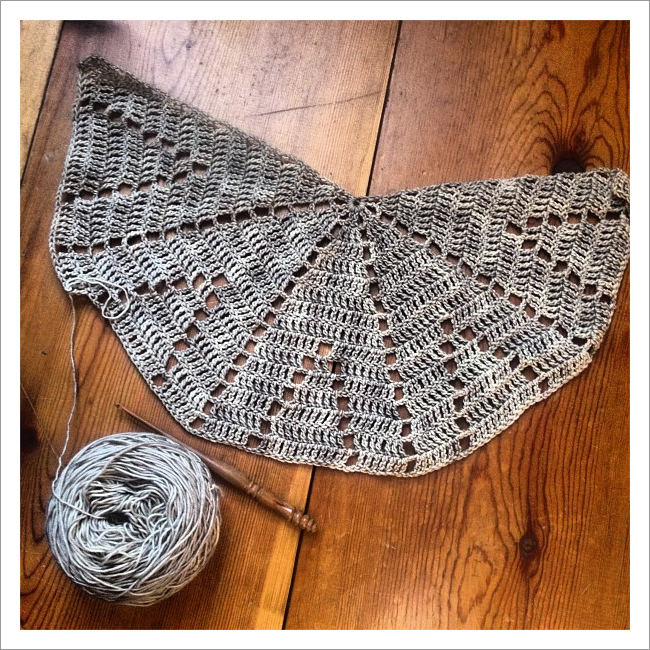 I’ve been really enjoying all the yarny play-by-play that Design Sponge’s Instagram challenge has prompted*, but my favorite thing to appear under the hashtag so far is Cal Patch’s latest crocheted shawl — a geometric wonder in the making. I happened to see a tweet of hers linking to the shot above and asked her whether she was freehanding it or what. Turns out it’s her own brand-new pattern, Borealis, and she’s posted several progress shots since. Like the recent Fave Haiku, it seriously makes me want to brush up my crochet skills. *My contributions over the weekend showed my progress as far as the elbow of the first sleeve of that ivory pullover, followed by my ripping it back to the neck. I re-knit the yoke on Sunday and am so happy I did — I just really didn’t like the look of the m1 raglans on this one. Help! I’ve fallen in a yarny slump, and I can’t get up! It’s all I wanna do, but work just weighs me down! That Haiku is to die for. It’s on the needles; it’s just not making any progress!!! I wish I could crochet. Gorgeous. You can! You just don’t know how yet. Maybe it’s time to give it a go! Beautiful pattern! I started it over the weekend and it’s so fun and amazing to watch it grow! Ms. Cal Patch is a wonderful designer!!! Ooh, nice — what color/yarn? This pattern is gorgeous! 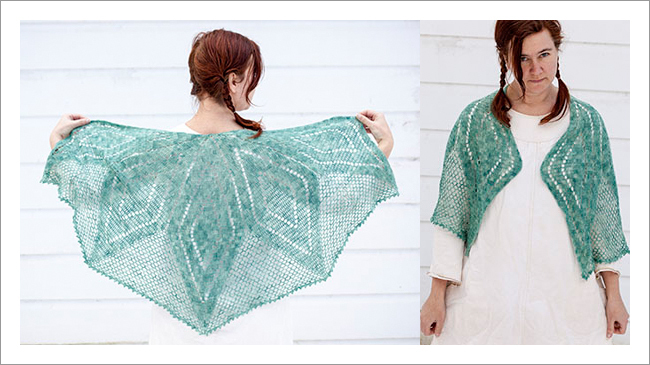 I’m usually not a huge fan of crocheted shawls, but this is definitely an exception.